Despite the chaos of my final school year, I made a point of clearing my schedule to see the Edeline Lee presentation this fashion week. I've seen Lee's shows for the last couple of seasons, and they always seem to stand out. This occasion was no exception. Inspired by the life and work of Georgia O'Keef, the collection was a perfect example of art influencing fashion. The clothes lived out Lee's running narrative of strong and expressive women, with a heartfelt femininity in each garment. The bold silhouettes were reminiscent of O'Keef's signature voluptuous shapes and the colour palette that of New Mexico, where O'Keef produced some of her finest work. 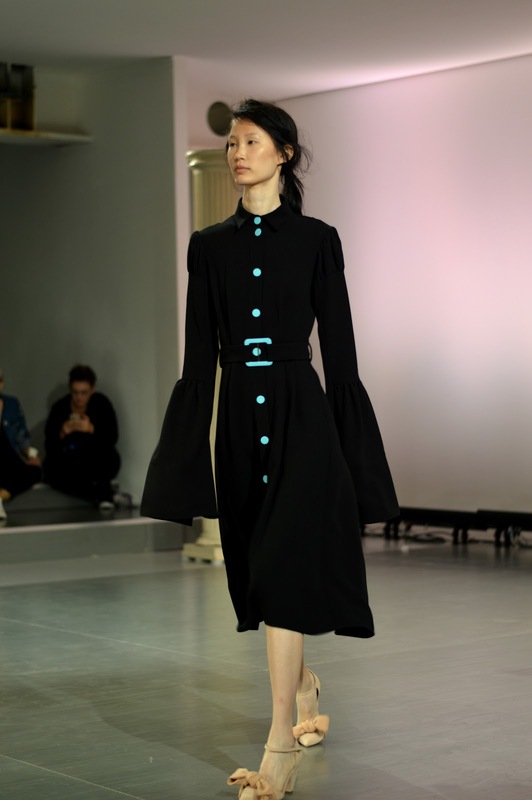 There was delicate stitching, audacious sleeves and turquoise accents - all of which created a wonderful collection. These looks are so beautiful. Loving all the designs. 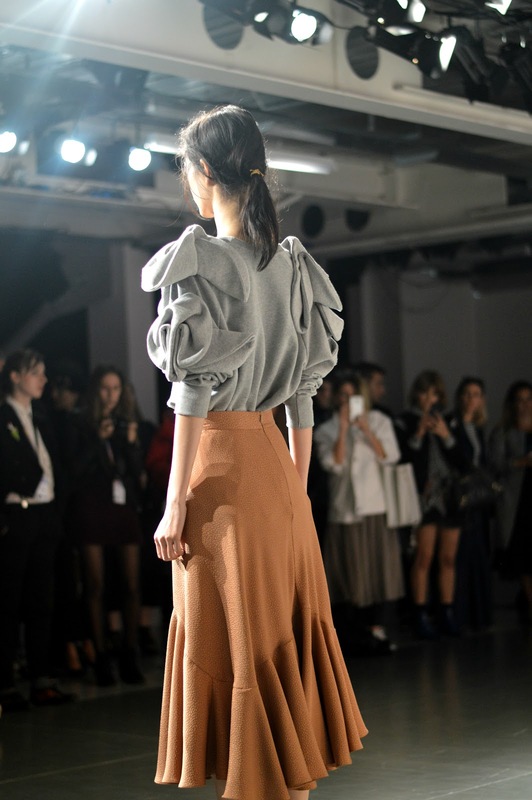 I love ruffles, peplum, ruching, fine fabrics, and seeing these features incorporated in Edeline Lee's designs. I only wish she had chosen a modelling agency that used fuller figured models to showcase her pretty fashions. I love the ruffled peplum of the top in the second photo, the ruffled sleeves and ruffled hem in the third photo, the ruched waist, ruffled hem and drape of the dress in the fifth photo, and the look of the fabric of the dress in the seventh photo. Your photos from the Edeline Lee SS/18 presentation at London Fashion Week are wonderful! Fashion weeks are a sort of reminder that you have to improve yourself and there is no final point. Your style develops and changes each day and it will be so for a long time. In the event that this fits your circumstance, at that point you would be advised to have the business cleaves to get your business off the ground and you would be advised to have a strong Core Value Proposition.